Here is a link to the July 21st, 2019 LA Westside Food & Wine Festival for info and tickets. The fall festival will be on Oct. 13th, 2019. Email me to be a sponsor, vendor or restaurant/wine participant. Here are Youtube Videos of the Summer & Fall festivals in July 2018. Todd Elliot Entertainment and Planning (aka swingentertainment.com) provides The Finest Live Music, DJ/MC services, Specialty Entertainment and all other vendors for any event, party or wedding. We specialize in saving clients time and money with many packages and our full list of vendors. Other great vendors we supply are Catering/Staffing, Dancers, Casino, Magicians, Unique Entertainment, Professional Photography/Photo Booths, Videography, Venue/Banquet Room Rentals and much much more. We have great experience with Corporate Events, Teen Parties, Wedding – Event Planning & Production and other functions. We have been in Business Since 1990 and pride ourselves with the best customer service, prompt responses to your questions and valuable experience. Please email us on our contact page or call us to get pricing and options for your next event. Todd takes pride in being the most prompt, dedicated Event and Party Planner in Los Angeles and Southern California. We specialize in Wedding and Holiday Party Entertainment. Todd is also a long time Corporate Event Planner and provides Corporate Holiday Party Entertainment all over Los Angeles and California. Check out our New Free Honeymoon Package. See more by clicking on our Wedding link at the top this page and requesting a package with info, terms. Our Full Service One-Stop Shop Company takes pride in being Number 1 in Reliability, Professionalism, Value and Customer Service. Our Entertainment and Event Planning Company has all the Vendors and Contacts for your ultimate event and we are able to Save you Time and Money. 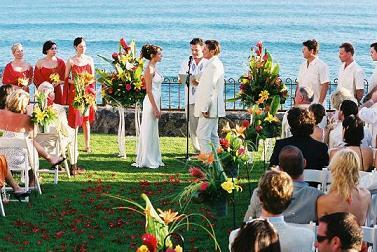 Todd Elliot Entertainment , Wedding – Event Planning has been working in the Industry since 1990. We have worked on thousands of events and weddings and specialize in Entertainment, Live Bands-Musicians, DJ-MCs, Photography,Videography, Photo Booths for all types of Events, Weddings, Bar – Bat Mitzvahs-Teen Events, Corporate Functions, Holiday Parties. 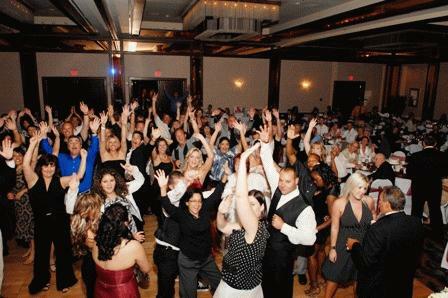 Todd can also help you with a variety of live music, specialty entertainment, professional dance instruction and performance, magicians, catering, rentals, sound,lighting, casino gaming tables – dealers, and many other types of unique requests. We provide pre – onsite coordination and work on Weddings, Corporate , Company Functions, Anniversay-Birthdays, Bar-Bat Mitzvahs, Quinceaneras, Sweet 16s, Graduations, Kids-Children parties and all types of Holiday, Private or Themed Events, etc. Todd Elliot has vast experience and many great contacts for some of LAs finest Live Music, DJ-MC Services and Specialty Entertainment. He is a professional Master of Ceremonies, Professional Dance Instructor-Performer specializing in Swing-Salsa and can bring a female partner to interact, teach and enhance any event while keeping the evening fun & energetic. One Free dance lesson offered with a variety of wedding packages and/or entertainment packages. Contact Todd for more details..
See the video below for a testimonial reference with Sara Sessa- VP-Partner of Tzell-All Star Travel from their December 2012 Holiday Party for my 9th successful year working with their company. Want to know more about our services-packages and pricing, Contact us at 310-827-0873 on our landline and leave us a message as we return calls within one day.